Car seat laws in California keep your family safe while they are riding in an automobile or truck. If you like to live dangerously and don’t buckle them up then you will face fines up to $475, plus one point on your driving record. So, it might be cost effective to just snap the kids in. It is certainly safer for you and your children if you use the car seat safety devices. Car seat laws dictate that any child 8 years old or younger needs to be properly buckled into a booster or car seat in the back seat or in a rear-facing child car seat. There are, however, numerous exceptions. If your child is 4’9” tall or taller then they can buckle up just like an adult. However, if the seat belt does not properly fit then they need to sit in a booster in the back seat. The rear seats are rear-facing. The car seat won’t install properly in the rear seat. Your rear seat is already full of children under the age of 8. If you have proof of medical reasons the child can’t sit in a booster or car seat. When your child is 8 years old or under, they need to be put in a child car seat that is forward facing. If your child is under the age of one then the car seat needs to be a rear-facing car child car seat. 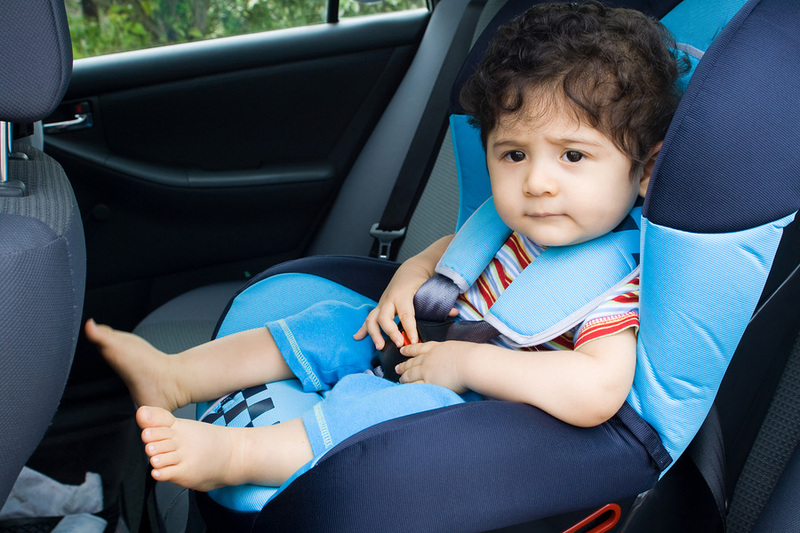 Whether the car seat is forward or rear facing, it needs to be located in the backseat. When there is an exception to having the child in the rear seat and the child will be riding in the front seat then the air bag must be shut off. For more information on car seat laws, see this car seat brochure.